Discover Patagonia and the Atacama Desert, both breathtaking in their differences, with this luxury experience that highlights Chile's iconic extremes. Enjoy vibrant city life in Santiago, incomparable scenery in Torres del Paine National Park, and out-of-this-world stargazing in the Atacama Desert. Enjoy unparalleled flexibility exploring Torres del Paine with a private guide and vehicle returning to Relais & Chateaux certified Awasi Patagonia Lodge each night. Located on a private reserve bordering the park, Awasi offers off-the-beaten path exclusive excursions and unparalleled access to pumas, guanacos, ñandus, condors and other wildlife. The Luxury Chile Adventure vacation showcases diverse regions of Chile including Patagonia, vibrant Valparaiso, and Chilean wine country. The best of both worlds; excursions by day and luxury by night in Chile's leading luxury lodges. Choose from a range of cultural and adventure excursions by day and return to your boutique spa and gourmet food by night. Savor incredible food and wine as you take in the beautiful surroundings of Mendoza, and disconnect for a few days of relaxation as you enjoy a stay in charming Uruguay on this amazing exploration of food and wine. Patagonia’s most privileged locations inside Torres del Paine National Park and unbeatable views from your room are just a couple of the many things making this luxurious adventure lodge one of the finest in South America. Iconic and off-the-beaten path hikes through Torres del Paine National Park with comfortable evenings in charming bed and breakfasts and traditional estancias. 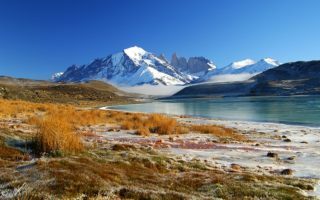 The ultimate Patagonia combination tour featuring both Argentina and Chile! The perfect way to experience the best of both countries. 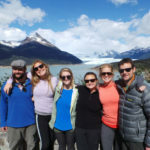 Including travel to both sides of Patagonia including Perito Moreno Glacier and Torres del Paine National Park, Buenos Aires, Santiago, Valpariaso and the Casablanca Valley. Are you at a point in life where the perfect ending to a day of seeing incredible landscapes and experiencing far-flung cultures is a hotel that spares no comfort and offers world-class service and amenities? Our luxury South America trips feature Knowmad’s world-class guiding, service, and innovative explorations paired with handpicked five-star accommodations that are the finest in the continent. 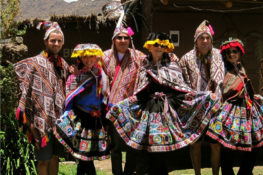 These trips can be done exactly as described, or they can be used as planning tools and building blocks while you work with a Knowmad South American Trip Specialist to build your ideal custom trip. 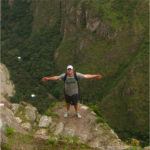 Learn more about the custom travel planning process here. 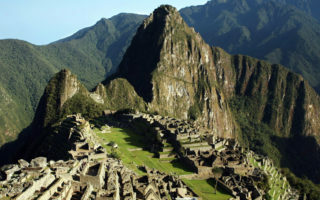 Upon confirming your luxury South America vacation with Knowmad, you will be sent a detailed Trip Information Packet particular to your trip that answers most frequently asked questions and includes a pack list, pre-departure check list, and more. Prior to departure, along with your reconfirmed itinerary you receive a Buen Viaje, or Safe Travels document that includes maps with hotels indicated, 24-hour in-country emergency phone numbers, and other valuable assistance tools. Knowmad’s Luxury vacations in South America feature the finest hotels, inns, boutiques and yachts on the continent. Within Peru, Patagonia, Chile, Argentina and Ecuador there are many world-class, five-star hotels and we are constantly inspecting new properties. Suggested accommodations are some of our favorite South American five-star hotels, however it can be hard to pick favorites. As a specialist in custom and private South American luxury travel, we are happy to discuss other premier hotel options in order that your trip is perfect for you. ‘Luxury travel expert’ is thrown around quite loosely in the travel industry these days, however that expertise may be exaggerated, and ‘luxury’ is often synonymous with ‘overpriced’. 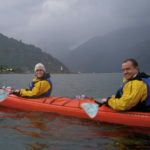 Knowmad been building trips and travel for the discerning traveler for years, and focusing exclusively on South America has allowed us to become true South America luxury travel experts. We’ve inspected all of the traditional ‘best’ hotels in the continent, as well as many lesser known boutique gems and newcomers. 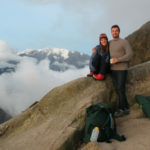 Our restaurant recommendations and included meals have been chosen based on personal experience.Oour local guides are professional yet personable, and we understand that just because you want the best South American travel experience possible featuring luxury hotels, that doesn’t mean you want to overpay. Knowmad is the leader in building unique private luxury travel experiences in South America, and we deliver them at an unbeatable value. 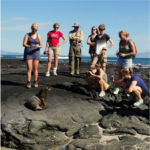 All of our trips are backed by the Knowmad Price Guarantee.